Apple introduced its 2018 15-inch MacBook Pro models with upgraded processors, including one where you could configure the machine to tout the beastly Core i9 chip. However, the GPU side didn’t command much horsepower, until now. If you visit Apple’s official website at this moment, you’ll find that you can configure the 15-inch variants to sport more powerful graphics processors. 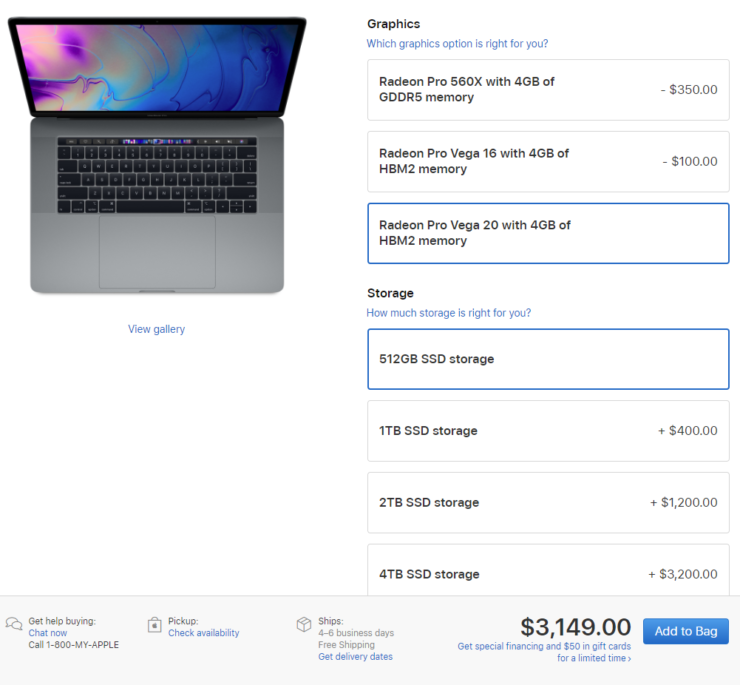 Previously, if you wanted to purchase the 15-inch MacBook Pro with Touch Bar, you’d only get the Radeon Pro 560X with 4GB of GDDR5 video memory. Now, both the Radeon Pro Vega 16 and Vega 20 offer 4GB of HBM2 memory. Apple states that the new GPU options will result in up to 60 percent faster graphics compared to the Radeon Pro 560X. Those who want to install Windows 10 on these machines will also be able to experience a serious bump in gaming performance. 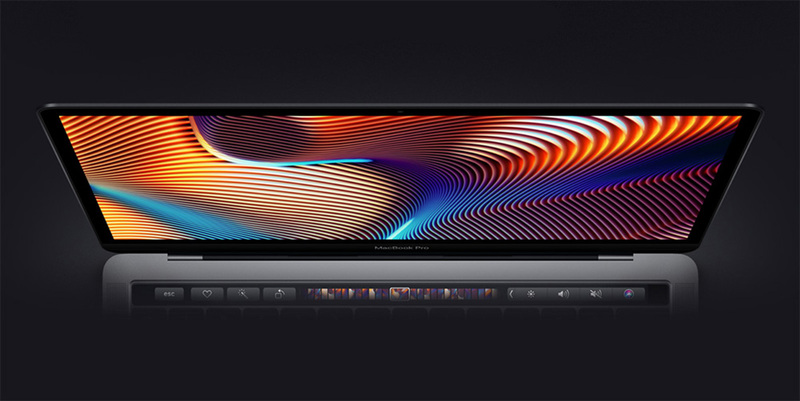 Unfortunately, it is the video memory that will hold the performance back once users attempt to increase the resolution or crank up the graphics. Still, these options will be a welcome addition for content creators and creative professionals. The 6-core CPU for the $2,799 model is also a nice touch when you want increased computing performance. However, all of these options are going to come at a price. For example, selecting the Radeon Pro Vega 16 with 4GB of HBM2 memory will start at $3,049, while the Vega 20 variant will come at a price of $3,149. That is very steep for a notebook but those that want to experience a blend of performance exuding from a portable machine while also getting a feel of the macOS ecosystem, they will need to pay for it. If you want to know more about the 15-inch and 13-inch MacBook Pro models, you can check out previous coverage given below.